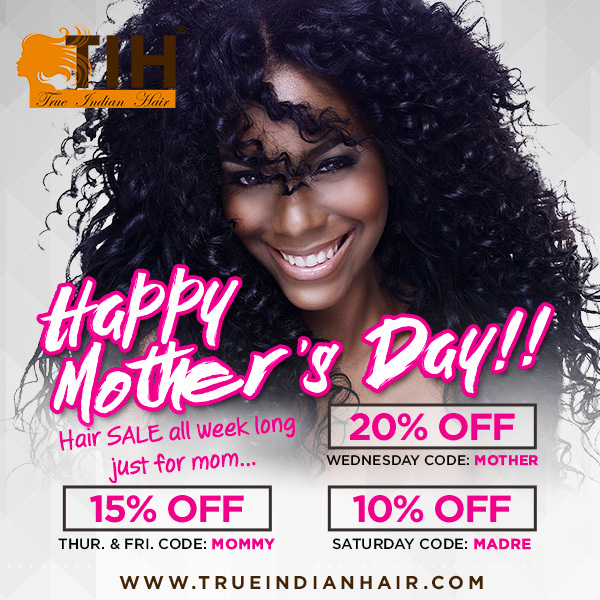 True Indian hair is offering a Big 3-Day Mother’s Day Sale! Please visit our website or one of our 3 locations for this fantastic sale! We want to celebrate Mother’s and what a better way than to explore some new Indian hair! Visit us at trueindianhair.com or give us a call!